I would like to start by saying JNF University and JNF Canada extends our utmost support to all the communities and universities who have recently been targeted with anti-Semitic hate crimes. Know that we are with you shoulder-to-shoulder and hand-in-hand, we are behind you – now and always. Over the last two weeks, JNF Canada has had two missions travelling the country and visiting our projects. The first mission being members of our Leadership board and the other being my amazing colleagues from back “home.” It was wonderful reuniting with my friends and seeing how pumped they are after visiting the projects they worked so hard to bring to fruition. With the grim news of the CNN report that was released this week, I think it is important for us to keep in perspective why we do the work that we do. Why we work in the non-profit sector and why we volunteer our time. Yesterday, one of my best friends asked me to join her for a gathering of Jews from Lublin, Poland. My family is not from this city, but being a sucker for all things Polish, there was no question that I would join. The event took place at the Museum of Rishon LeZion. I honestly had no expectations of the museum. About 10 minutes into the private tour of the museum, I was surprised to learn very important facts in regards to this nation’s history. 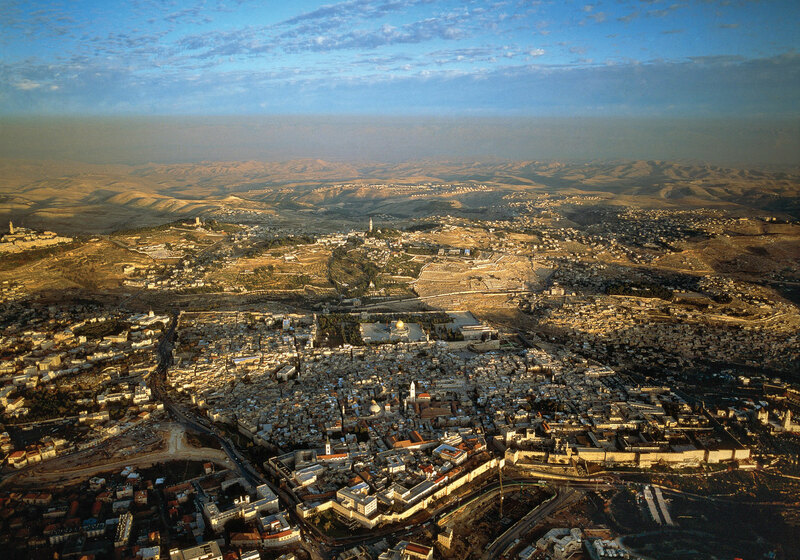 The city being inhabited in 1882 is where nation’s flag was first sewn/designed and more importantly it was where the first stanza of the poem “Hatikva” was read by Naftali Herz Imber. This poem was adopted by the First Zionist Congress as the anthem in 1897 and till this day is Israel’s national anthem. As Polish-Canadian (now Israeli) – I was standing in a city full of history. Going to museums like the one I visited yesterday reminds me of our strong connection to the land of Israel. It also reminds me why organizations like the JNF are so vital in what Israel is today. As Jews, we have been holding on to “hope” for centuries and we will continue to do so. Hope for peace among our borders. Hope for the safety of Jews living abroad. Hope for the freedom of religion. Hope that there will be an end to hate. I think that because we continue to hold onto “hope” – it allows us not to lose our resolve. We see that as a Jewish nation we are stronger. We won’t be silent. Seeing my friends from Canada – I am proud to be part of the JNF Family. The determination our lay leaders have to make a change and do good – is admirable. To me, they are the hope that no matter what comes our way – we will be stronger. To all our board members and volunteers, I thank you – by coming to Israel and supporting the projects that you do, you are doing more for the Jewish people than you can ever imagine. I have never been a religious person but there is something about being in Israel over the holidays that just moves you. Growing up, my parents kept a secular household but made sure that my brother and I knew the basics. It is not because they didn’t want to be more traditional, but due to their upbringing in communist Poland – they didn’t know enough about the religious traditions to pass it on. My brother eventually explored Judaism through the Reform movement and I went more down the Zionist path. The days leading up to Yom Kippur, I found myself dreading the holiday. The country was going to come to a halt with everything being closed and ZERO transportation available. When it was finally Erev Yom Kippur, I was pleasantly surprised with how much the holiday took over my soul. After having dinner with one of my best friends and her family, we went outside so her kids could go for a bike ride. I did not expect to see hundreds of children on the street. It was wild! It made me want to be a kid again. Kids in Israel know that this is the one day in the year that they can do this so they take full advantage. On my walk home I had to face-time my parents to show them everything that was going on. My father got emotional and so did I. I know this image is not traditional, but it is the beauty of having a Jewish state. 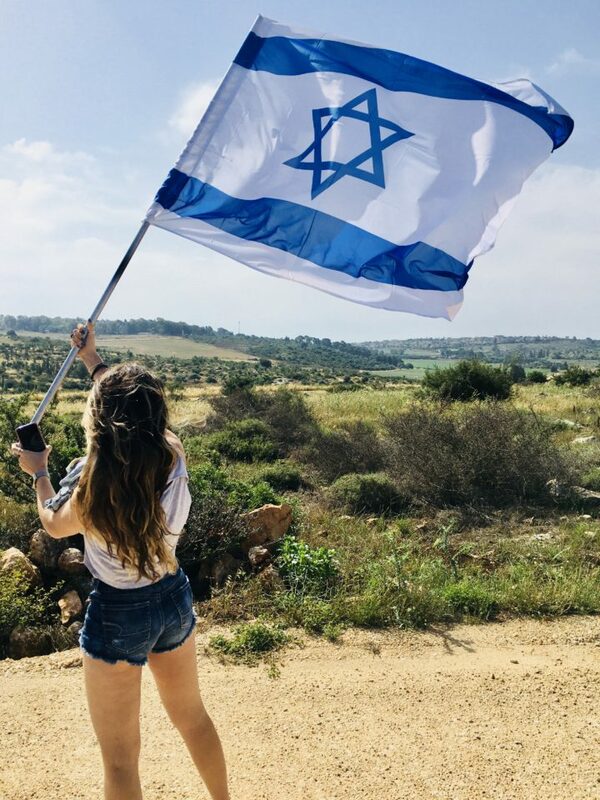 It is freedom to be Jewish. While the kids were riding their bikes, you can see those leaving synagogue walking by. Jews of all backgrounds were observing the holiday. 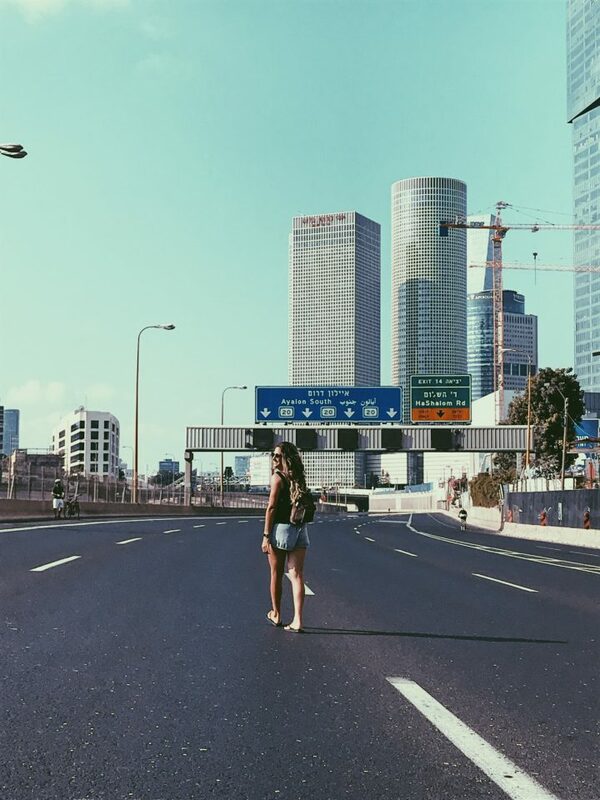 The next day, I woke up early and joined my friend for a walk on the Ayalon (the highway). The roads were clear. Not a car in sight. All you could see and hear were other pedestrians and cyclists. The air felt light. What 12 hours without any vehicles on the road can do for air quality, is remarkable. I felt so at peace during this walk, words cannot describe. I have never felt so connected to my faith and G-d, as I did at this moment. Near the end of Yom Kippur, my friend and I walked to the local synagogue to stand outside and hear the shofar. Dozens of other Tel Avivians were also outside for that exact reason. People in the city may not be observant, and may not even fast but they care about the holiday. If people don’t fast, you wouldn’t know it. No one would eat in public out of respect. If you were to try to turn on a TV in Israel during Yom Kippur, you would not be able to get a single channel. The importance of this day is felt by all. When you walk the streets, you can see couches in the middle of the road where people sat and chatted with their neighbors. Yom Kippur in Israel truly moves you beyond any words. On this day, you feel a part of the community and a pure connection to the Jewish faith. On this day, my soul felt like it was home. Israel is home. As the school year and holidays commence it is often a time for reflection; consider the past and look toward the future. Over the past few years on campus I have experienced many highs and lows of being a Jewish student at York University. From taking Jewish studies courses, to engaging with other Jewish students in the Hillel space, to bringing and participating in events with Israeli speakers, I have seen many aspects of the positivity that occurs when Jews connect on campus. On the contrary I have also experienced bouts of anti-Semitism and BDS. However in those tough times it becomes apparent how strong the York Jewish is community when banded together. On my JNFU trip to Israel in 2017 I understood the importance of building our communities and strengthening the ties that bind us. Along with two other York students we went back to campus, ready and excited to build our personal and communal relationships. As I sat in Synagogue during the High Holidays I was able to truly gauge the impact of our Toronto Jewish community. I looked around and noticed the familial feeling that I often feel at York. Jews greeted familiar and unfamiliar faces, sat next to each other and ensured that everyone felt included in the community. Seeing the many different facets of Jewish community is truly beautiful. Whether the connection is built through adversity on campus or a seat neighbour in synagogue it is really important to continue building those communal bonds to allow us to become the best Jews we can be, for this year and for the years to come. 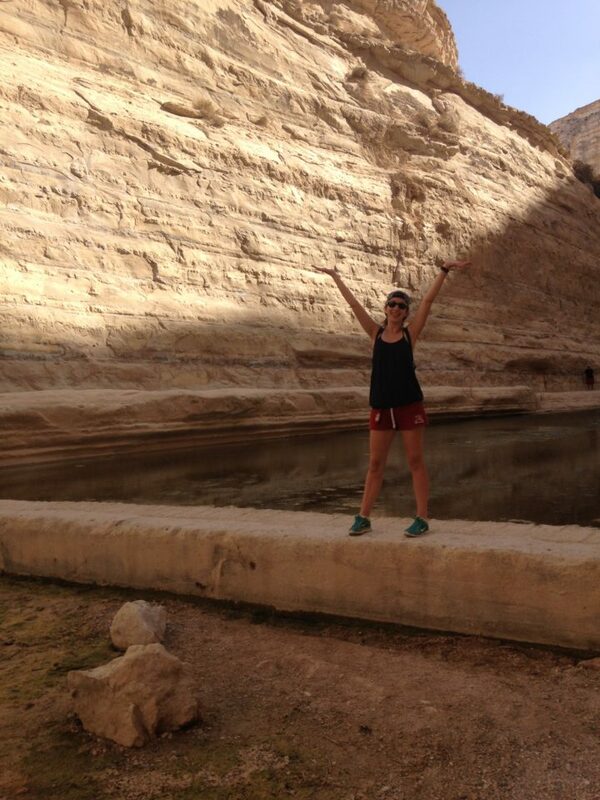 September 9th is the beginning of the Jewish New Year and my official two months of living in this beautiful country. I cannot help but think about the ironic double of this day. I started a new beginning two months ago and now the Jewish people around the world are welcoming a New Year, and new beginnings. I know that this is just a coincidence – but the meaning to me is significant. I have managed two months without seeing my immediate family, best friends and all the norms I was used to for over 30 years. It is crazy to think about. Israelis I meet even call me crazy for the drastic move that I made. Yes, Israel has her challenges – but so does every country. The weather, food, people and lifestyle – all make me smile. I know I made the right decision. Yes, I do miss my family immensely especially during the holidays but with their constant support, I know I am meant to be here. In May, on the third annual JNF University Mission, the group planted trees in northern Israel. Once we were done, we all took turns waving the Israeli, Canadian KKL flags. When I took the handle of the Israeli flag, I felt something in my body that I could not explain. The same feeling I get whenever I hear Hatikva playing. There is something bizarre about this feeling I get. It is almost like an out of body experience. Whenever I hear Hatikva play, I start to rock my feet as if there an intense form of energy going through. This has never happened when I heard any other anthem, including the Canadian. These feelings and emotions remind me of why I made the choice. I think when moving to any new country or have a new beginning you need these reminders to keep you from getting lost when you have bad days. Bad days come, and that is okay, what is important is not to get lost in them. Remind yourself of the good, and slowly, slowly you will see that your new beginning has a bright future. To everyone who celebrates, I wish you happy and healthy 5779! Shana Tova U’Metuka! A few months ago, I had the privilege to meet Member of Knesset, Avi Dichter. Political opinions aside, meeting him was about feeling connected to my family. You see, my grandparents and Avi’s parents were from the same shtetl (“shtetl” is what villages were called in Europe before the Holocaust). Rozyszcze was a small village in Poland (what is now Ukraine) before the Holocaust. The community was small, yet vibrant. After the ashes of the Holocaust, those who survived found each other and stuck by one another. Avi’s mother was very close friends with my great-aunt Chana, who moved to Israel in 1945. Chana was my inspiration to be a community leader and a strong independent woman. Avi came in April to Canada to speak to speak to several communities on behalf of JNF. I saw this as an opportunity to share with him a photo I have of his mother and Chana. Naturally we connected and we spoke about what the shtetl still means to us today. We kept in touch afterwards and about a week ago I remembered he mentioned that every August there is a memorial for Rozyszcze near Tel Aviv. I had to go. For me it was a way to feel connected to my grandparents who never made it to Israel. The ceremony was in Givatayim in a building owned by Yad Vashem. I was shocked with how packed the room was. Over 50 people with some sort of connection to Rozyszcze. Back home in Toronto, we were lucky if there were 20 people at the memorial service. I definitely stood out to everyone – being the “newbie” and all. The whole service was in Hebrew – but it was worth it. They showed photos and recounted different family stories of survival and loss. I may have not understood it all – but it was the closest I felt to my grandparents in a very, very long time. After it was over, I walked out into the lobby and a lady approached me saying that she heard I am from Canada and wanted to ask me a few questions. It turns out that her father probably went to the same class as my grandfather before the war started. We exchanged contact information and promised to stay in touch. We may not have a way to prove that our relatives were friends but the historical connection was important to us both. Years can go by, relatives may pass away, but as long as you remember where you come from – the memories will never die. I am and always will be, a Rozyszczer.